Erma J. Lewis, 93, of Galesburg, IL passed away Thursday, April 4, 2019, 8:00 a.m. at the Roseville Rehab and Healthcare Center Roseville, IL. She was born Sunday May 10, 1925, in Ellison Township, IL the daughter of Sidney Matthew and Esther Lucretia (Neidy) Smith. She married Arthur Lee Lewis on 9/21/1950 in Colorado Springs, CO, he preceded her in death. She is survived by one daughter, Michelle MacAlpine, as well as nine grandchildren: Derrick Laughter, Chale’ Laughter, Barrett Laughter, Stephen Lewis, Breanna Smith, Michelle Bouquet, Esther Bouquet, Kira MacAlpine, and Caylan MacAlpine; 8 great grandchildren: Jaden Zamora, Rylahn Wesson, Harley Wesson Ezekiel Wesson, Haley Laughter, Libbey Lewis Smith, Adelyn Laughter, and Alton Lewis. One brother Vance (Betty) Smith of Roseville. She was preceded in death by her husband, (Arthur Lee), daughter (Sharon Kay Laughter) and son (Michael Ray Lewis)and sisters Eloise ( Wayne) Lowderman, Ima Jean (Roy) Bycroft and Gaila ( Raymond) Parsons. 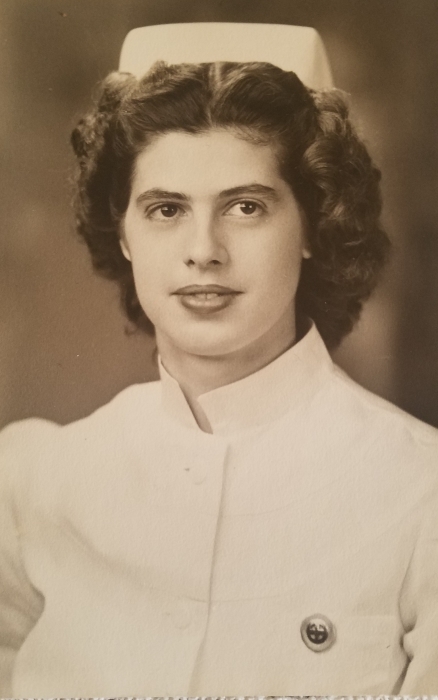 Erma graduated from Cottage Hospital, Galesburg in 1949 as a registered Nurse. Together with her husband, Arthur Lee, she formed Superior Construction Co and Lewis Construction, Inc. in 1951 and worked there for 35 years until they retired in 1986. Cremation rites have been accorded, Memorial service will be Friday, April 12, 2019, 2:00 p.m. at the Wise Family Funeral Home Roseville, IL, visitation will be from 1:00-2:00 p.m. at the Funeral Home. Burial will be in the East Linwood Cemetery following the service. Please sign the online guestbook at www.wisefamilyfuneralhome.com. Wise Family Funeral Home Roseville, IL is in charge of the arrangements.